The World Universities Debating Championship (WUDC) 2019 in Cape Town, which took place 28.12.18-03.01.19, has ended with victories for teams from Sydney, Hebrew Jerusalem and Keio A. The holding of the Open final was accompanied by protests of the Black-African debate community. The Open final was won by Sydney D (Kevin Lee, Bostan Nurlanov) out of Closing Government. Their victory marked the third world championship triumph in the last five years for their debating union. Other participants in the final were Cornell B (Denny Lee, Aniroodh Ravikumar) in Opening Government , the Opening Opposition Sydney A (Imogen Harper, James Stratton) and the number one ranked ESL team Zagreb A (Tin Puljić, Lovro Šprem) in Closing Opposition. The motion read “This house believes that the present condition of humanity is better than it would be in 100 years time”. 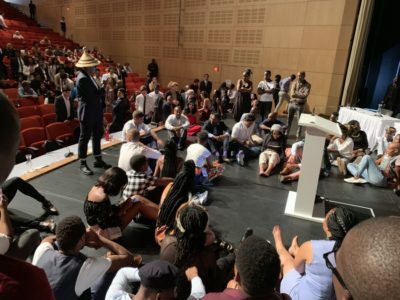 Shortly before the start of the Open final, the stage was occupied by members of the Black-African debate community in order to force an apology from the officials of Cape Town WUDC for incidents which took place during the tournament. While the protest was ongoing, the final was held secretly in another room of the university. The adjudication panel was switched up due to this as well. (Editor’s note: The exact details and reasons of and behind the incident and how both parties acted are still unfolding. We will publish a summary once both official statements are out). 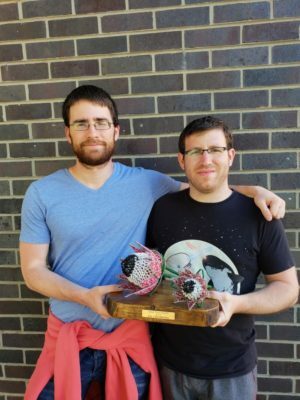 Hebrew Jerusalem B (Elaye Karstadt, Roy Schulman) are the new world champions in the ESL (English as Second Language) category. 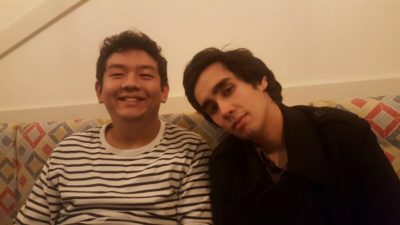 As Opening Government, they defeated HSE Moscow A (Aleksandr Zhuravlev, Mikhail Shuganov) in Opening Opposition, Tokyo A (Mayu Arimoto, Yutaro Kurihara) in Closing Government and IIU Malaysia A (Hilmy Yazid, Shitab Akash) in Closing Opposition on the motion “In the lead up to the 1994 negotiated settlement in South Africa, this house believes that the ANC should have demanded further concessions (e.g. removing the amnesty provision in the TRC, greater land and economic rights) even at the expense of prolonging the conflict”. The final was judged by Brian Wong (chair), Ayal Hayut-man, Elisha Kunene, Eva-Marie Quinones, James Pacino, Jamie Jackson, Lex Sundarsingh, Lucian Tan and Teck Wei Tan. (Takua Baba, Yusuke Fuse) as Closing Government. They prevailed against Opening Government IT Bandung A (Vincentius Michael, Ahmad Kushay), Opening Opposition Rosario B (Juanita Hincapie, Jorge Portocarrero) and Closing Opposition Binus B (Everild Agnes, Felix Kurniawan). The motion read “This House believes that it is unjustified to assist evil regimes in systematically persecuting members of their identity group in order to mitigate and moderate the regime’s abuses (e.g. Israel Kasztner in Nazi-controlled Hungary, Wang Jingwei in Japan-occupied China)”. The adjudication panel consisted of Ashish Kumar (chair), Amrit Agastia, Dan Lahav, Daniel Berman, Enting Lee, Jehanna May, Lehakoe Masedi, Steph White and Yoni Cohen-Idov. Additionally, January 3rd also featured the finals of the Masters competition as well as the public speaking contest. The Masters final was won by the opposition team consisting of Sella Nevo and Yoni Cohen-Idov. The public speaking contest saw speeches of Mohamed Abdullahi, Jessica Pigeau, Daniel Gindis and Jeremiah Kobby Sekyi with Jeremiah Kobby Sekyi from Ghana being crowned the winner. R1:Infoslide: Afrikaaners are a white South African ethnic group descended from predominantly Dutch settlers. R4: Infoslide: Decolonisation refers to the process of critiquing and moving away from value systems and influences that were imposed on countries during colonialism. Some examples include: removing statues of colonial figures e.g. Cecil Rhodes, prioritising indigenous narratives of history over colonial narratives, replacing colonial authors with local authors in curricula. SF: Infoslide: In most legal systems, in order to initiate legal proceedings, potential plaintiffs must demonstrate that they are directly involved in the issues of a case in a way that is distinct from general members of the public. This means that an ordinary citizen cannot challenge a law as unconstitutional if they cannot prove that it has, or is imminently likely to, directly affect them. A doctrine of open standing would allow anyone to initiate legal proceedings in court. Plaintiffs would still need to demonstrate a valid legal argument. For example, under the status quo, new healthcare legislation which may increase many people’s premiums could not be challenged by a general member of the public. Under a doctrine of open standing it could be. SF: Infoslide: Recently there has been an increased use of big data and sophisticated algorithms in making various policy judgements. As technology in machine learning and artificial intelligence advances, it is becoming more feasible to apply such methods to more government decision making process. PDOF: Infoslide: The World Health Organisation has adopted conventions on various health topics which can impose binding regulations on member states. OF: Infoslide: For the purposes of this debate, “Political Expansionism” is an approach to international relations which involves exerting pressure over and intervening in the internal affairs of other states. It seeks to spread ideology and exercise influence over the political and information environments of the targeted countries through channels such as economic investment and backing political groups. SF: Infoslide: In the status quo, financial institutions use the money deposited by customers (e.g. in a bank account) to make loans and investments. Deposits could alternatively be used to buy government-back safe assets (e.g. treasury bonds), which tend to have the lowest risk of default of all assets. In this debate, an “equity account” would be an account where the financial institution can use deposits for loans and investments. The value of an equity account fluctuates based on the value of its underlying assets. A “narrow banking” regulation is the requirement that all financial institutions back up all deposits with an equivalent value of government-back safe assets, unless customers choose to deposit their money in an “equity account”.